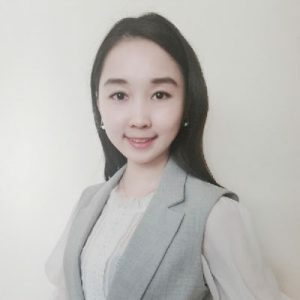 Anny Wanling Wu joined Harvest International in February 2017 as an executive assistant to begin her career in Administration. In January 2018, she was promoted to be an office manager and based on her above-and-beyond dedicated work ethics and overall attitude towards her job. Start from June 2018, she became a licensed Sale and Leasing Associate, began her career in commercial real estate. Prior to joining Harvest International, she is a Licensed High School Teacher in China. She attended Shanghai Normal University in China and graduated with a BA in Education. She then continued to receive a Master of Business Administration with a Concentration in Finance from University of Phoenix. She is also a Certified Bookkeeper from National Bookkeeper Associate. At Harvest International, Anny was responsible for all administrative duties and team support tasks, including Human Re-sources and recruitment, company correspondence, gathering and analyzing all pertinent commercial real estate information, communicating with upper management of departmental needs, as well as building up and keeping relationship with clients. During her time as a sales and leasing associate, she has successfully assisted the company to complete multiple transactions from office lease to industrial lease. She continues to further develop her real estate knowledge and skills while growing successful within Harvest International.